Learn how to negotiate like a pro and make the most of your blogger campaigns. 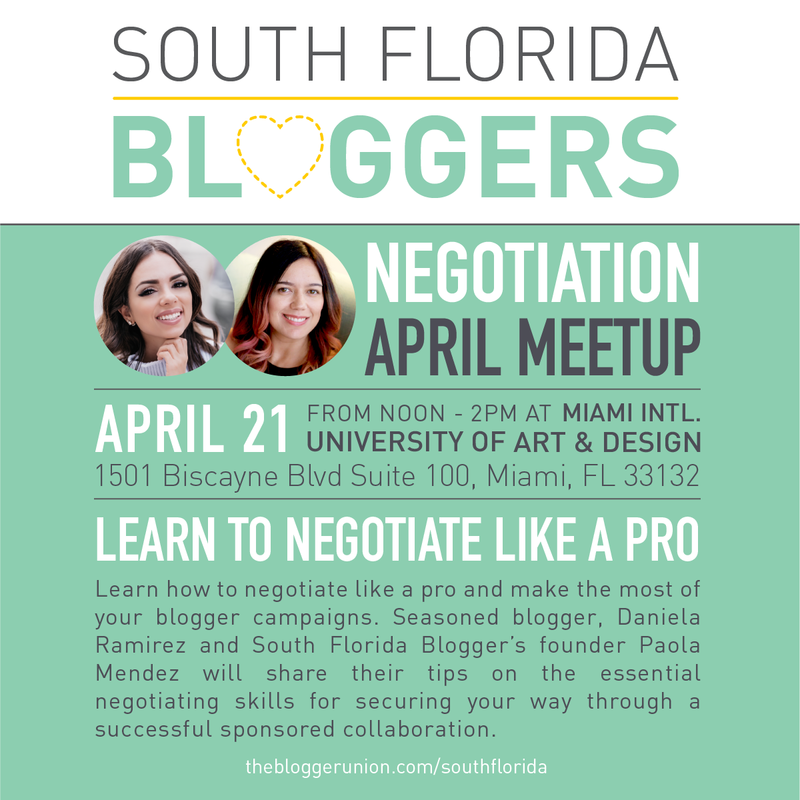 Seasoned blogger, Daniela Ramirez and The Blogger Union/South Florida Bloggers founder Paola Mendez will share their tips on the essential negotiating skills for securing your way through a successful sponsored collaboration. Fashionista Daniela Ramirez runs the blog Nany’s Klozet. She was born in Caracas, Venezuela, and moved to Miami to go to college. Daniela studied Fashion Merchandising and Business, and is currently getting her masters degree on “Design and Media Management”. She also has a certification in Makeup Artistry. Paola Mendez is a serial entrepreneur, the founder of South Florida Bloggers, and the kind spirit behind The Blogger Union. 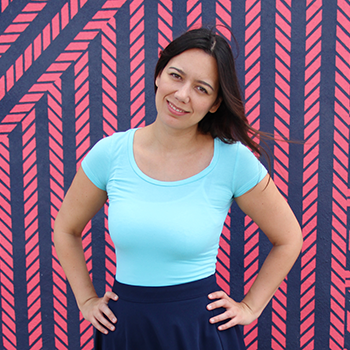 Paola’s talent for creating communities began in 2007 when she founded Pinkghost, a designer toy store, gallery, and haven for local and international artists. Today, Paola continues to run an eclectic portfolio of online businesses, including Coral Gables Love —the most influential online hub in Coral Gables— Dapper Animals, and Cool Gifting. Thanks to Miami University of Art & Design for hosting.